Biodefense technology provider Zeteo Tech has received a potential $6.5M contract from the Department of Homeland Security to develop and test a prototype mass spectrometer that can detect aerosolized biological threats in real time. Zeteo Tech said Sunday it will help the DHS Science and Technology Directorate create a fieldable sensor-based tool with both trigger and detector features for identifying airborne threat agents such as toxins, viruses and bacteria. The prototype tool is intended to quicken the detection of biological incidents while increasing the number of threats detected and lowering operational costs. Wayne Bryden, president and CEO of Zeteo Tech, said the company’s services will support ongoing DHS efforts to reduce threat detection and response times for both natural incidents and potential cases of bioterrorism. “S&T’s objective in developing this new sensor technology and our other biological and environmental threat detection initiatives is to protect citizens and critical infrastructure from these threats,” added William Bryan, a DHS senior official performing the duties of the undersecretary for science and technology. 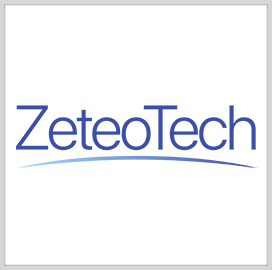 Zeteo Tech is a Sykesville, Md.-based developer of biological mass spectrometer instruments supported by the Bill and Melinda Gates Foundation.